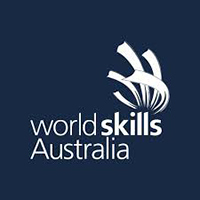 We would like to take this opportunity to thank you and your company for all the help and consultation you have provided to WorldSkills Australia in the selection of both our National Office and the international Team Australia – Skillaroos uniforms. PC Corporate are to be commended for the excellent quality and the prompt and efficient service that has been provided since our first association in 2009. The selection of a uniform had in the past always provided us with some difficulties. As a not-for-profit organization constrained by budgetary limitations, we were able to work with PC Corporate to outfit not only our staff, but the 2011 Team Australia Skillaroos – who represented Australia at the 41st WorldSkills International Competition, London, UK. The Australian Team looked absolutely fantastic. The whole process from the selection of the uniform, fitting and supply was handled with extreme professionalism by the PC Corporate team. We thank you for your help and look forward to working with you in the future.